A fresh fruit mono-meal is a great way to start the day! Mono meals are easy on the digestive system. Our friends grew these in their backyard. 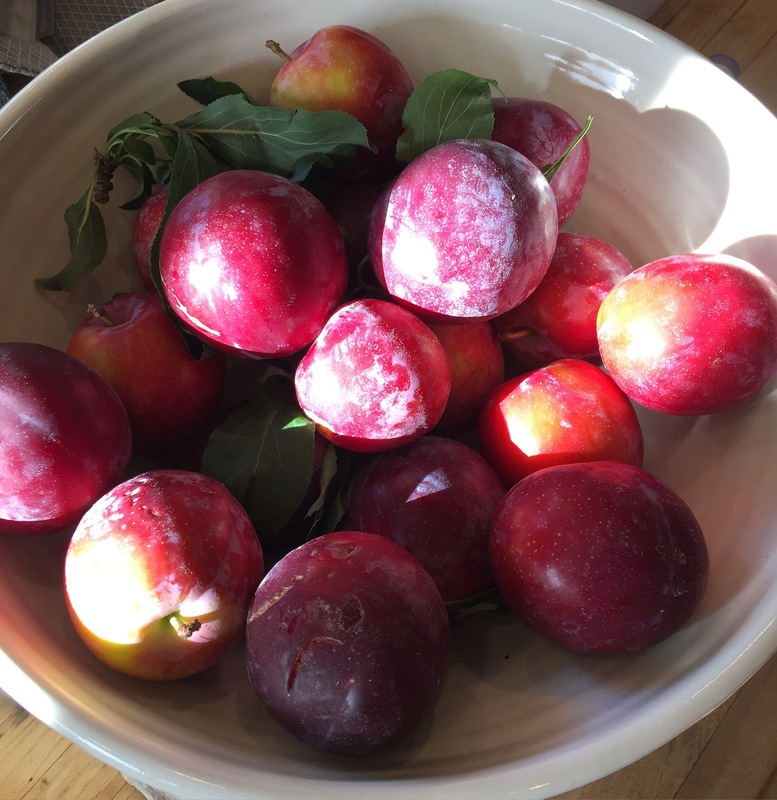 It’s such a treat to eat seasonal fruit goodies from the garden. My morning ritual always includes a cup or two of tea. According to Chinese medicine it is wise to start the day with warm liquids. Lately I’ve been drinking lots of Tulsi tea from India. I just love the different flavors and the natural stress-relieving properties of the holy basil leaf. It is truly a wonderful tea to drink daily. The sweet rose and original flavors are my two favorites.